I forgot to post this after discussing it in episode 1, but here is the list I created of the songs in Twilight movie, placed in their order of appearance in the film. All these songs appear on the movie soundtrack or the movie score discs except where noted (listed by song and artist). When listening them in order, it’s like watching the movie again. My favorite song right now is the Collective Soul song. What’s yours? UPDATE (11/21/09): Check out our list for Twilight Saga: New Moon soundtrack and score in order of the movie! UPDATE (11/14/10) Check out our list for Twilight Saga: Eclipse soundtrack and score in order of the movie! thanks for the movie playlist…now I can listen and “watch” the movie at work. Thank you so much I remembered in what order all the “songs” went but not the score this helped!! Hi Robin–This list includes the soundtrack and the score, which was released on a separate disc. Here’s the Amazon link for the score. Also if you buy the Twilight soundtrack from iTunes, you get three bonus tracks: La Traviata, Clair de lune and Let Me Sign. Hope that helps! Hi Latasha–I got Let Me Sign from iTunes, so check that out if you haven’t yet. I’m not sure where else it can be found, but i’ll post it if I do. Melissa, great work! I listen to this everyday when I go walking, I love it!! Latasha, I wanted to get the 3 bonus tracks as well, but I already had the soundtrack, and they are only able to be purchased from iTunes if you buy the entire album over again. I have a LimeWire account, and was able to find them that way. Hope this helps! I really like the song that is playing when edward is sucking the venom out of bella’s arm. Does anyone know what song that is? That song is Let Me Sign by Robert Pattinson. 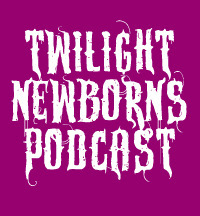 It is an iTunes bonus track for the Twilight soundtrack. How do you get the iTunes bonus? When I looked up the album it doesn’t mention getting extra tracks. Do they come afterwards, or are they just added on after you’ve purchased it? Where can I buy/download Rob’s music? At the moment only two of Rob’s songs are available for purchase. Never Think can be found on the Twilight soundtrack, which you can buy from sites like Amazon, and Let Me Sign is available for purchase only through the US iTunes store (as far as we know it is not available in other countries). The rest of his music is not available for purchase. I thought that might be the case. Thanks for looking into it. Managed to get it from limewire. It sound great! that is great, sally! thanks for letting us know. Thank you so much. This really helped me a lot. I was a little disappointed when I found out that all the songs were not in order. I am slightly OCD when it comes to the soundtracks matching the movies, so you stopped some hair-pulling in it’s tracks. Let me Sign is playing when Edward enters the cafeteria for the first time. It plays very quietly so you really have to pay attention. It says so on Stephanie Meyers website. she has lots of useful info there. I absolutely love Let Me Sign by Rob Pattinson and Eyes on Fire by Blue Foundation and of course the piano bits. Thanks for the rest of the songs! I LOVE EVERY SINGLE SONG!!!! I Love all the songs but specially eyes on fire n bella’s lullaby. Could some one PLEASE tell me were i can buy Let Me Sign!!!!! I LUV ALL OF THIS SONGS!! thank u so much!! THANK U SO MUCH I LUV THIS SONGS!! they r awesome!! they r not the only ones! @cynthia i’m glad we could help! i got a set of discs myself. i listen to them all the time. what is the last song in the movie? it’s the really fast song that is playing when victoria is walking down steps overlooking bella and edward at prom? i’m asking you, because i have read some of your other replies and they’ve seemed really helpful to other people. The last song that is playing over the credits as Victoria is walking down the stairs is 15 Step by Radiohead. Hope that helps! hi…lcan you please tell me the name of the song that plays when they are dancing in the prom. they are dancing to Flightless Bird, American Mouth when they are dancing on the gazebo at the end of the movie. The piano song Edward plays to Bella is “Bella’s Lullaby”by Carter Burwell. Its on both the soundtrack and the score discs. Thats great work, i really appreciate your hard work. But can you tell me that where does this linkin park track plays in the movie? Hi Tushar-The Linkin Park song plays over the credits at the end of the movie, right before Paramore’s Decode. hey what is the song when edward and bella are in the forest and he revels to her that he is a vampire ? Hey amber–I think you’re talking about the song, I Know What You Are by Carter Burwell. This is absolutely awesome! I just stumbled across your post here while searching for the name of the first song in the credits (15 Step) You’ve done an amazing job and worked hard for all the rest of us, so thank you! when does “esmes Favorite” show up? Can anyone tell me which scenes all of these are in? hi louise–i don’t have the songs where they appear in the movie. but its on my list to update this post and add it. i’ll let you know when its up. hi tabetha – as far as i know, esme’s favorite doesn’t appear in the film. which is disappointing. I’m loving Super Massive Black Hole, but then again I have always liked Muse. I’m also really loving Eyes on Fire. So haunting. But great work Melissa. Saves me having to try and do it. Which song is when shes gettin the venim sucked out of her? that is Rob Pattinson’s song, Let Me Sign. thank you so much for the list. it truly helps!!! thanks, tanesha! glad we could help! hey….thanx a lot for the list…….it made a lot more easier to download the songs…..but i had a little problem with the song bella’s lullaby, d part which edward plays in the movie is not there in the song which i downloaded from line wire, can u suggest me any oder site from where i can download the full version of that song…. I was just wondering if anyone could tell me the name of the song (& artist) for the part in New Moon when Bella is staring out the window and the months are going by? May I ask that you also share the play list for Eclipse by the order of appearance in the movie? I’ve been looking for days, couldn’t find information as useful as your list for Twilight and New Moon. Where can i download,all the tracks u hav compiled, for free? Da list really helps…..!thank u 4 ur help. This was so helpful. I was actually trying to find the name of a specific song and found it here. This is great. Now I just have to figure out how to order it. Thank you for the great info. 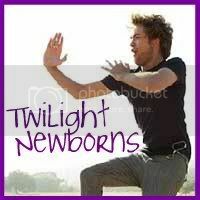 Which part of the month does edward play bella’s lullaby? plz let me know that is the song played in the new moon before the song posibility.in that song down down word has been used and with guiter. plz let me know. Absolutely love Paramore(and I am an old lady)! I have the breaking dawn score and soundtrack list! Score songs have numbers and soundtrack songs have dashes. Thank you so much it helped me but I need to know the song that plays when robert says “hang on tight spider monkey.” Can you please try to find it? Hi! Can you please tell what is that score called which is played in meadow(durng Lion fell in love with Lamb dialogue). Where can i get it from? Is there any free website?? The song is actually called “The Lion Fell In Love With The Lamb” on the score. As for a website, I don’t know one. Sorry! Hello, Do You maybe have a playlist just like this one; in order of appearance but for other Twilight movies? This is NOT every song. What is the song that plays when Bella first arrives at school and meets Eric?! Please help me. It is impossible to find.